Nicky Augustine (Mike O’Malley) sends three men after Ava (Joelle Carter), waiting for Raylan (Timothy Olyphant) to arrive so that they can force Raylan to help them kill Drew Thompson aka Sheriff Shelby Parlow (Jim Beaver). Things don’t go great for Nicky Augustine’s men. 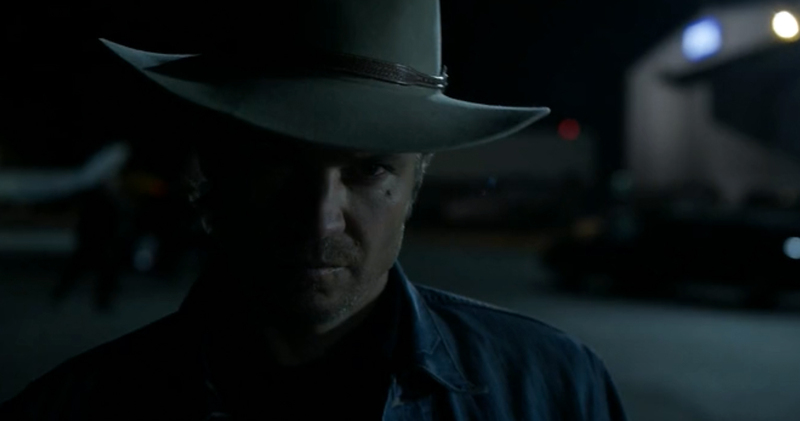 Raylan decides to go after Augustine, but his justice can only come at the cost of his badge, unless he plays it smart. 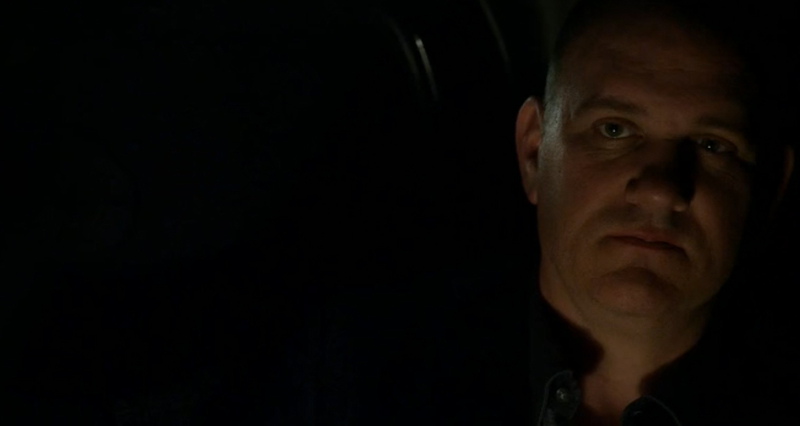 Forcing Boyd (Walton Goggin) to help him find Augustine, Raylan gives him a chance to turn himself in or shoot it out. 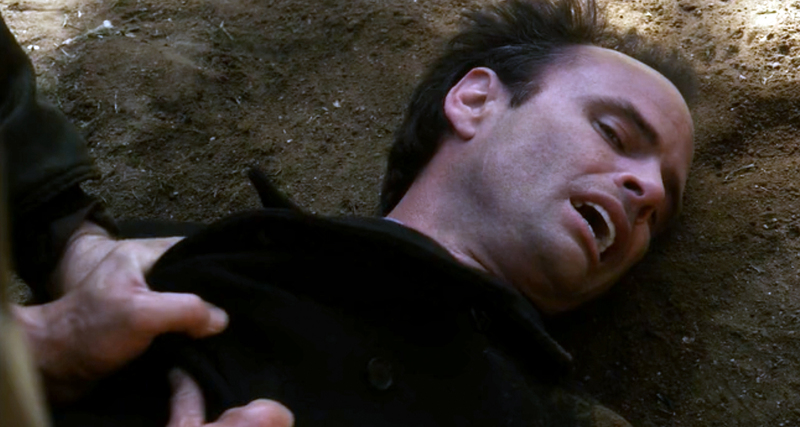 Augustine turns down both choices, calls Raylan’s bluff, and sends him on his way. Unfortunately for Nicky Augustine, Raylan’s made a deal with the new mob kingpin, Sammy Tonin (Max Perlich), and walks away as Augustine checks out for good. It’s an almost black gray area that Raylan enters here, and the effect on him may be far reaching. Are his actions clever? But are they morally justified? Raylan manages to protect Winona (Natalie Zea) and his unnamed, unborn daughter, and no one in the Marshall’s office is any the wiser. Meanwhile, Boyd tries to keep the sheriff department from discovering the body of the man Ava killed, and pulls out all the stops in trying to influence Harlan County officials to tamper with the evidence against her. But the powers that be in Harlan seize the opportunity of Boyd’s weakness to reassert themselves, and Ava goes down for her crimes. Boyd’s only consolation is that under the new management of the Detroit mob, he now controls the Harlan County heroin business. He’ll have money and power, but his dream of a home in the hills with Ava seems lost. This season has seen Boyd Crowder more than once accused of having no set principles and no set convictions. His love and loyalty are fleeting things. Is he a white supremacist, a born again Christian, wild militia man, crime boss, future Harlan aristocracy, or what? After this latest crushing setback, how will he reinvent himself? The season ends leaving both Boyd and Raylan drifting, and seeking to understand just who they are. Next season, I’m sure we’ll see both the struggle and the ramifications of their journeys.